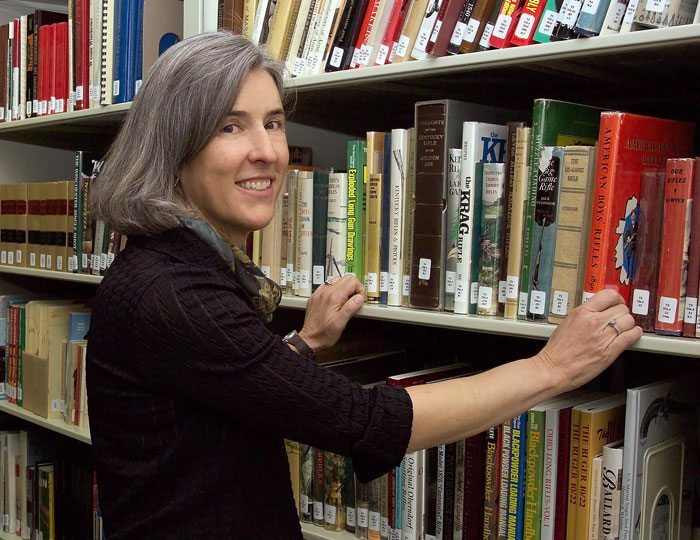 Meet the staff of the McCracken Research Library at the Buffalo Bill Center of the West. Mary Robinson has been an active professional in the Wyoming library community since 1993. She holds an MLS degree from Emporia State University in Kansas and a Special Collections Certification from the Graduate School of Library and Information Science at the University of Illinois. To submit inquiries or obtain general information, e-mail the McCracken Research Library. To schedule a research appointment, please call 307-578-4063. The library holds no genealogical information beyond the family of William F. “Buffalo Bill” Cody. General research on firearms may be conducted in the library. For serial number research on specific firearms, please e-mail the Cody Firearms Records Office. The McCracken Research Library is the custodian of more than one million historic images. To view digital collections online, conduct image research, and browse a selection of more than 20,000 photographs and documents, go to Digital Collection. Please submit image requests to Photo Sales. A number of opportunities for volunteers are available in the McCracken Research Library.